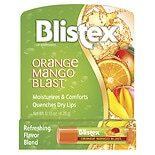 Blistex Lip Protectant, SPF 1....15 oz. 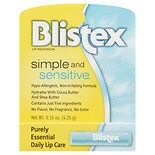 Blistex Simple and Sensitive....15 oz. 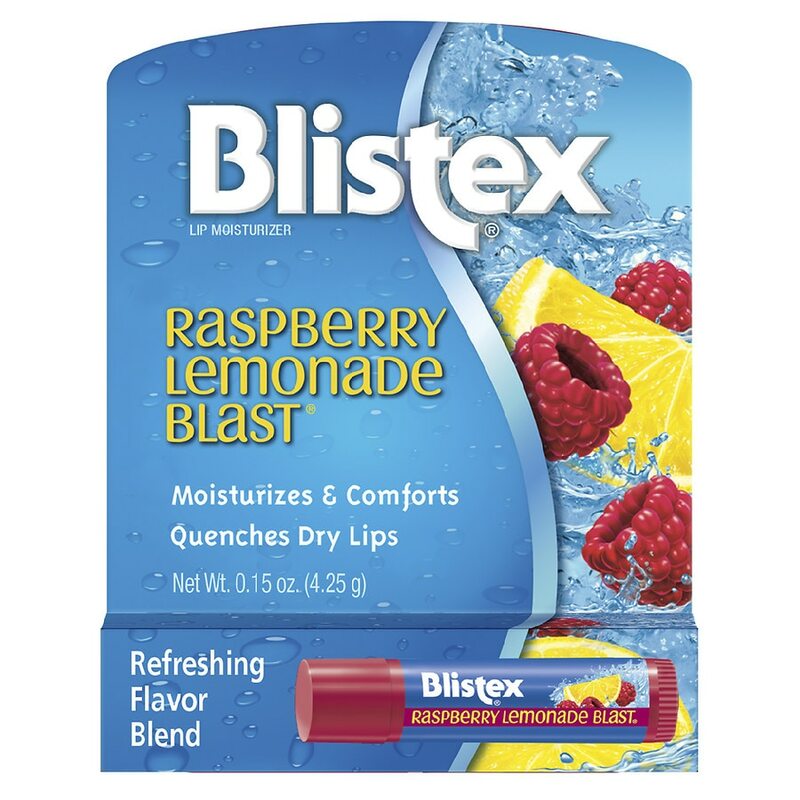 Super-Smooth Moisturization: Raspberry Lemonade Blast is fortified with anti-oxidant vitamins C & E and rich moisturizers to quench your lips. It's a smooth-gliding balm that leaves your lips feeling protected and totally juicy. Refreshing Flavor Sensation: Raspberry Lemonade Blast is a mouthwatering combination of two tasty fruit flavors. Luscious raspberries and sweet lemonade deliver an explosion of flavor. It's as delicious as it is effective. Sun Protection/Sun Alert: Raspberry Lemonade Blast provides SPF 15 protection. Limiting sun exposure, wearing protective clothing, and using sunscreens may reduce the risks of skin aging, skin cancer and other harmful effects of the sun. Package Warning: Choking Hazard. Has removable cap. Not for children under 3 years.